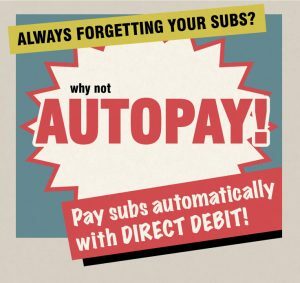 To make your lives easier we have just introduced a direct debit system. This will save you remembering to pay your subs for 2018 and following years, as the money will simply be taken from your account on New Years Day. Cancelling is easy too! Remember: NO MONEY WILL BE TAKEN until January next year! 2 Responses to You can now pay for your subs via Direct Debit! This is me. Where do I sign? Click on the images above depending on the type of membership you’d like.